The Kenow fire ripped through the Rockies near where I live. Flames were reported to be hundreds of meters high coming off the tops of some trees. 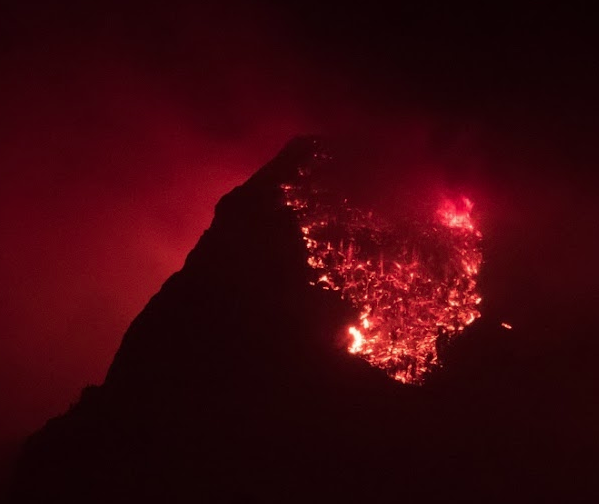 Some of those flames licked the crags I most frequently climb. 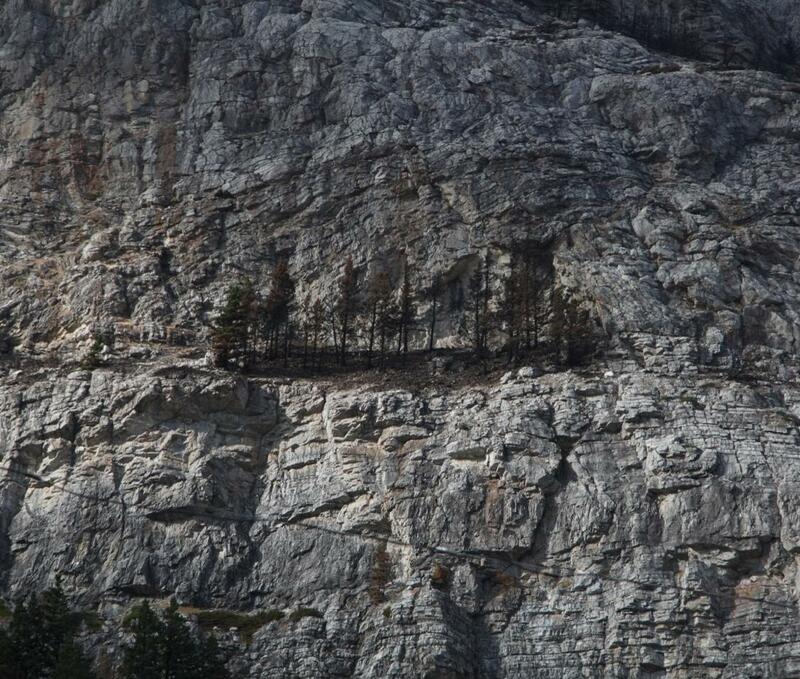 Parks Canada is assessing the danger of re-entering the area, citing warnings of a large number of danger trees and rock falls due to the intensity of the fire. 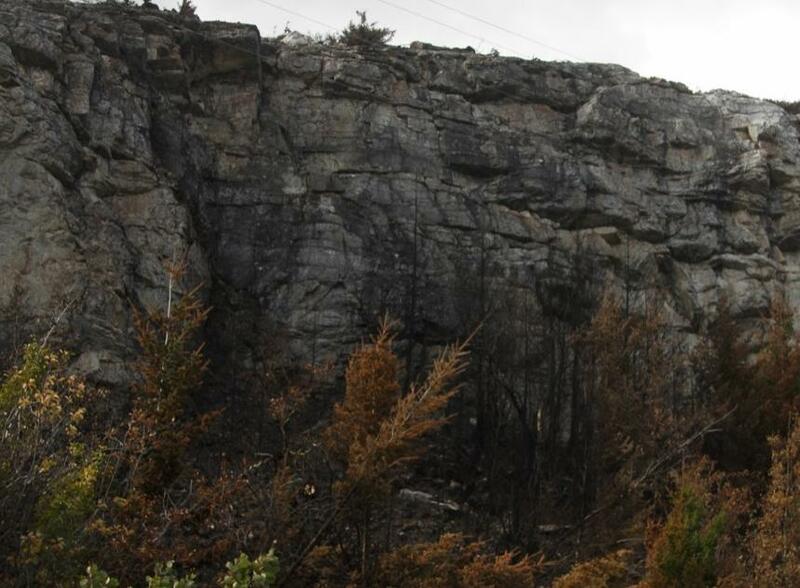 How do forest fires affect climbing crags? 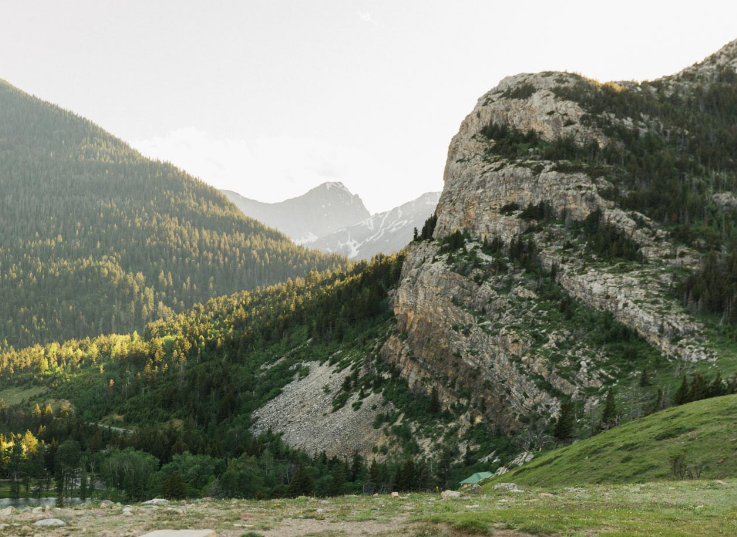 In addition to what the other answer says, a fire burning near a crag could weaken bolts; so if there is fire damage anywhere nearby, the bolts should be considered suspect and replaced (at least the anchors). As for the rock itself, I'd approach it like a new crag that has not been climbed before, i.e. expect holds to come loose and be prepared for rockfall in general - helmets are a must. Obviously, fire-damaged trees should never be used as anchors. 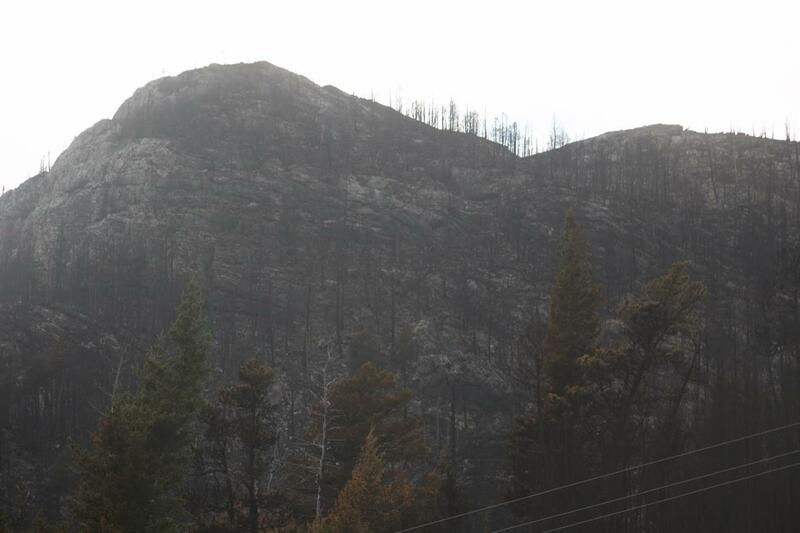 A forest fire can definitely affect the rocks and cause hazards (in addition to the hazards in the forest). Hot burning fires destabilize rock. This can result in removal of rock coatings, flaking, scaling, and/or abrasion. Spall is flakes of a material that are broken off a larger solid body and can be produced by a variety of mechanisms, including as a result of projectile impact, corrosion, weathering, cavitation, or excessive rolling pressure (as in a ball bearing). Spalling and spallation both describe the process of surface failure in which spall is shed. Rocks do not conduct heat well, so when they are exposed to extreme heat the outermost layer becomes much hotter than the rock underneath causing differential thermal expansion. This differential expansion causes sub-surface shear stress, in turn causing spalling. 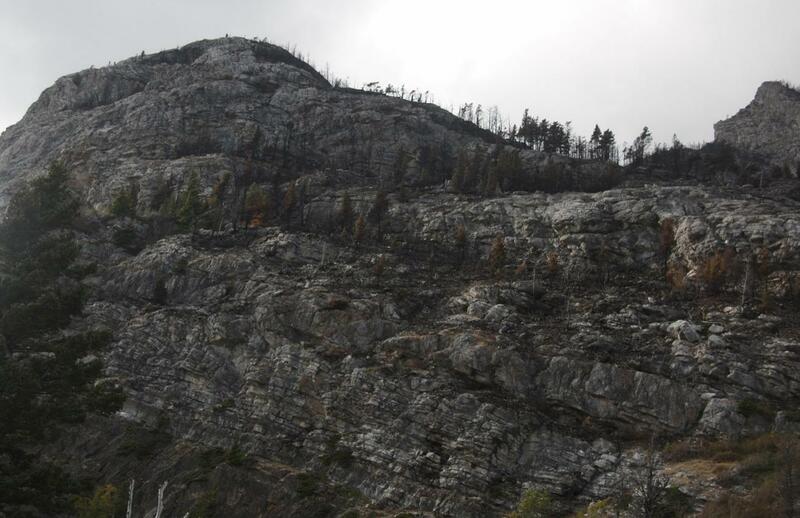 Extreme temperature change, such as forest fires, can also cause spalling of rock. If there were a huge amount of heat, you might actually have to consider the hydrological issues. All mountains, hills, etc., have a water table. Steam can exert extreme pressures, enough to fracture many types of rock. Additionally, as the water warms, some minerals are going to become more soluble in it, which could cause internal erosion. If the resulting solution is acidic, and it might very well be, then you're potentially going to see further degradation of that. Yeah, I think you'd want to have a very good sense of how much heat there was, and where the water table was. Though I have to think it would take a truly hellacious amount of heat to cause what would basically be a temporary hot spring or geyser. You know what, though? I'll bet a coal seam fire could do the trick, eventually. You could look at the studies that have been done on those. Fire was used in traditional mining to ease breaking the rock into smaller pieces. So, it is this once desirable effect what makes it now dangerous for you to go climbing there. Not the answer you're looking for? Browse other questions tagged safety rock-climbing forest-fires or ask your own question. How to clean rock-climbing shoes? Can forest fires cause a drought? How do forest fires affect rain run-off?